Are you a good listener? I’m not talking about being nonjudgmental while your partner rants. I mean understanding sentences spoken rapidly in a singsong tone. Do you get impatient watching The Voice when the judges, with swivel chairs facing away from a singer, take a long time to hit their lighted buzzers? This article is NOT about The Voice but it also involves swivel chairs. In the first swivel chair sits a pretty teenager who is frowning worriedly into her computer screen. A white-haired man is next to her. His forehead rests on the table edge while he stares at his shoes below. Beside him, a poised, middle-aged lady sits serene and still, her eyes closed. The occupant of the fourth swivel chair is pacing slowly behind it, his sleek pony tail swinging gently. Then, he sits down and puts on his earphones (like the other three). “Hah!” he suddenly exclaims as he bangs the table with his right fist, and then types rapidly on his keyboard. What just happened? 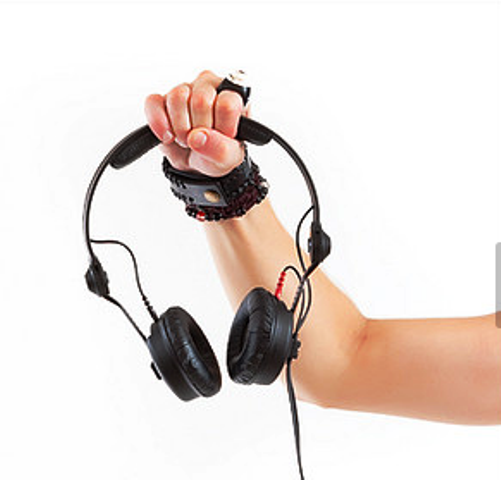 Welcome to the world of audio transcription. Voice transcription involves listening to audio files and typing the words to come up with a professional document that complies with very specific style guides. Many people think transcription is a simple process. You listen, you type; what more is there to it? A whole lot more. My medical transcription experience began with a six-month course. The class studied transcription software, medical style guides, and U.S. geography and spent hours learning from a doctor about pharmacology, the body systems, their functions, symptoms, diseases, diagnostic tests, and treatments. We constantly exercised touch-typing to reach speeds of over 80 words a minute. On-the-job transcription training at a hospital for two months followed, capped by actual work in a BPO company. Many months into work I continued to struggle but kept on, reluctant to waste the time and resources poured into the learning process. You’re thinking that’s medical transcription; regular business transcription should be a walk in the park, right? Not quite. Mastery of the medical jargon is just one aspect. Listening skills, familiarity with idiomatic expressions, and research are essential. While listening to audio files, I would often catch a reflection of my scrunched-up face with a confused, frustrated expression – brows stuck together, eyes squinting like I’ve been hit by an unpleasant odor. Why? Voice files come in a range of accents, inflections, pronunciations, and self-concocted phrases from some people who speak English creatively as a second language. Background noise presents another challenge. Doctors dictate around emergency rooms or in hospital waiting rooms against a background of wailing ambulance sirens, crying children, and slamming doors. Or they dictate at home with the doorbell ringing, the dog barking, even the toilet flushing. Business transcription settings depend on the industry. It could be outside the police station with more sirens, at the courtroom with the gavel pounding, on the road with horns blowing, or on a boat with the seagulls squawking. Does the sentence you’re listening to make sense? You must research unfamiliar words but carefully choose credible websites. If it’s a group discussion, you need to distinguish the voices of the speakers to identify who is saying what. But before that, you have to figure out what the subject of the discussion is. Let’s not forget the turnaround time (TAT) for medical files of 24 to 48 hours; longer for business transcription. Within that time frame, the audio file needs to be transcribed, edited, proofread, quality checked, reviewed for accuracy and style guide compliance, and smoothly uploaded. Multiply this process by the number of files to be transcribed and multiply further by the number of clients you have. Oh wow! So one needs to be an English Major with sensitive hearing who is quick on the keyboard? English degree not necessary but sharp ears and nimble fingers are a definite asset. Don’t get me wrong. Transcribing gets easier with exposure. 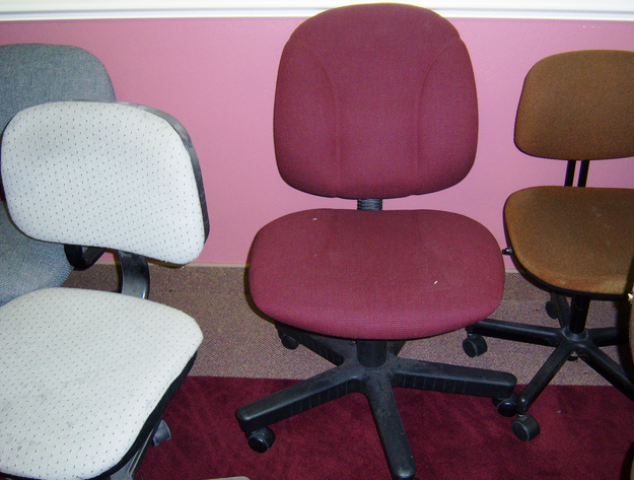 Those four characters in swivel chairs are regular folk and very good at what they do. What! A Sherlock Holmes too? Well, consider these real scenarios. A doctor dictates a patient’s work history in relation to a work accident and you encounter an inaudible word, but you’re pretty sure it’s not a medical term. You then rely on a word-sounds-like premise to research online. Visualizing the patient’s work setting while performing a specific Google search helps you find the word. “Yes!” you fist-pump. While transcribing a market study of Australian beer brands, a participant describes the bottle label using the same word repeatedly, yet you cannot identify the word. Again, from a word-sounds-like approach, you search online for an image of that beer brand. Staring at the image as you listen, you arrive at the descriptive word. “Got it!” you happily exclaim half jumping from your swivel chair. In an interview, a communications officer from a marketing company talks about social media and states she has what-sounds-like 800 connections. You are aware that connection is a term used in LinkedIn, so you search out her name and read that she actually has 500 connections. “Success!” you smile proudly. Only an audio transcriber will truly understand that triumphant Eureka moment when you figure out what that pesky inaudible word is you have been listening to over and over. Identifying that word often brings all the pieces together to make sense of the report. So you want to do voice transcription? Try an experiment using cable TV and a mirror. Select Channel News Asia, the Australian channel, or the BBC. (The acceptance speech of an Oscar foreign film category winner would be great!) Listen for a few minutes. Was your face all scrunched up in confusion? Were you smiling and amused? In the end, the transcribers who do well and enjoy their work are those who welcome unfamiliar accents, like to dig out information, appreciate details, and thrive on deadlines. They are briskly efficient but also laid-back chill – unfazed by the voice and the background noise.